When we are introduced to the internals of a microprocessor, it is most likely that we will be shown something like one of the first generation of 8-bit CPUs from the 1970s. There will be the familiar group of registers and counters, an arithmetic and logic unit (ALU), and an instruction decoder with associated control logic. A complex instruction set causes the decoder to marshal registers and ALU to perform all the various functions in the right order. CPUs may have moved on in many ways since the 1970s, but the block diagram of an 8080 or similar still provides a basic grounding for the beginner. So when we tell you about another home-made CPU using TTL logic chips, you might expect it to follow this well-worn path. Fortunately though the hardware hacking community is always capable of springing surprises upon us, and [Szoftveres] has done just that with his design. It’s a one-instruction-set machine following a transport triggered architecture, and that means it deviates sharply from the conventional architecture described above. Each instruction is a move between the different physical functions of the processor, and computation is achieved by the physical functions working on the data as it is moved into them and presenting the result on their outputs ready to be moved elsewhere. The result is a computer that is in its own way beautifully simple, though at the expense of some inflexibility and lack of some hardware functions we take for granted in more conventional processors. This machine has been built on a piece of stripboard, and has an accompanying board with display, keypad, and a modem. There is a small board based upon an ATmega8 microcontroller which performs the function of fast program loading, and can be removed once the code is loaded. Software can be written in a C-like language anc compiled using the compiler in his GitHub repository, and he has produced a YouTube video of the machine in operation. This project is well worth reading through in-depth, for its introduction to this slightly unusual architecture. 3D printing is one of the best things that has happened to the maker community in recent years, however the resulting output has always been prone to damage when used in high temperature applications or places where the part may be exposed to corrosive chemicals. In a recent paper titled “Three-dimensional printing of transparent fused silica glass“, [Kolz, F et. al.] have proposed a method which uses stereolithography printers to create glass objects that can be used in research applications where plastic just won’t cut it. When we say stereolithography you probably think of resin printing, but it refers to the general use of light beams to chain molecules together to form a solid polymer. The researchers here use amorphous silica nanoparticles as a starting point that is later cured by UV light creating a polymerized composite. This structure is then exposed to high temperatures of 1300 °C resulting in models consisting of pure fused silica glass. This means that the part has excellent thermal and chemical properties, and is also optically compatible with research grade equipment. Machine shop wisdom says the lathe is the king of machine tools. We ascribe to that belief, although the common aphorism that the lathe is the only tool that can make copies of itself seems a bit of a stretch. But in the shadow of the almighty lathe is a tool without which even the simplest projects would be vastly more difficult: the lowly vise. Trouble is, finding a good vise can be a tall order. So why not take matters into your own hands and build this very sturdy vise from scratch? Most commercially available vises are made from a couple of large castings, but as complete as [MakeItExtreme]’s metalworking shop has become, casting molten iron is not a tool in their kit — yet. So they turned back to what they know and welded up the body and jaw of the vise from mild steel. The video below shows the long sessions of welding and grinding that bring the body and the jaw into being, in the process consuming miles of MIG wire. The main screw is cut from stainless steel and threaded with the correct Acme form for such a high load application, especially given the mechanical advantage the long handle provides. The jaws have dovetails for replaceable inserts, too, which is a nice touch that’s hard to find on commercial units. Vises on Hackaday tend to the lighter duty varieties, such as a 3D-printed vise, the Stickvise for PCBs, or even a fancied-up woodworking vise. It’s nice to see a heavy metal build for a change. We have no doubt that child detection systems will soon be standard equipment on cars, like backup cameras and trunk-escape levers are now. Not willing to wait, [ayavilevich] came up with his own car occupancy sensor for child seats (Update: We originally linked to the Instructable but [ayavilevich] wrote in and mentioned this is actual Hackaday Prize entry and he’s looking for more people to get involved in the project). Dubbed Fochica, for “Forgotten Child in Car Alert,” the system is clearly a proof of concept right now, but it has potential. The Arduino Uno senses Junior’s presence in the car seat with a homebrew capacitive sensor under the padding of the seat and a magnetic reed switch in the chest harness buckle. An Android app on a smartphone pairs with a BLE module to get the sensors’ status, and when the phone goes out of Bluetooth range while the seat is occupied, the app sounds an alarm. Simple, but effective. We like how well [ayavilevich] thought this through. Systems like this are best left uncomplicated, so any improvements he makes should probably concentrate on engineering a reliable, fieldable device. Another hack we’ve presented in the kid-safety space is fast stairwell lights for a visually impaired girl, which might provide some ideas. Photography is all about light. It’s literally right there in the name – stemming from the Greek word, photos. This is why photographers obsess over the time of day of a shoot, why Instagrammers coalesce around landmarks at sunset, and why a flash helps you take photos in darkness. Historically, flashes have worked in all manner of ways – using burning magnesium or xenon lamps for example. For this Hackaday Prize entry, [Yann Guidon] is developing a portable flash using LEDs instead. By this point in time, you might be familiar with LEDs as flash units from your cellphone. However, [Yann] is taking this up a notch. The build is based around 100W LED modules, which obviously can pump out a lot of light. The interesting part of the build is its dual nature. The LEDs are intended to operate in one of two ways. The first is in a continuous lighting mode, running the modules well below their rated power to reduce the stress on the LEDs and power supply, and to enable the flash to run on the order of an hour. In this mode, temperature feedback will be used to control the LEDs to manage power use. The other is a pulsed mode, where the LED will be overvolted for a period of milliseconds to create a much more powerful flash. It’s this dual nature which gives the LED-based flash a potential advantage over less versatile xenon-based units, which are limited to pulsed operation only. We can see the continuous lighting mode being particularly useful for videographers needing a compact, cheap lighting solution that can also work as a pulsed unit as well.We’re excited to see how [Yann] tackles the packaging, thermal and control issues as this project develops! Ask Hackaday: Why Did Modular Smart Phones Fail? Remember all the talk about modular smart phones? They sounded amazing! instead of upgrading your phone you would just upgrade the parts a bit like a computer but more simplistic. Well it seems modular phones are dead (video, embedded below) even after a lot of major phone manufacturers were jumping on the bandwagon. Even Google got on-board with Google Ara which was subsequently cancelled. LG released the G5 but it didn’t fare too well. The Moto Z from Motorola seemed to suffer from the same lack of interest. The buzz was there when the concept of these modular phones was announced, and people were genuinely exited about the possibilities. What went wrong? For a start people expect their phones to have everything on board already, whether it be cameras, GPS, WiFi, high-capacity batteries or high-resolution screens. Consumers expect these things to come as standard. Why would they go out and buy a module when other phones on the market already have these things? Sure you could get some weird and wonderful modules like extra loud speakers or perhaps a projector, but the demand for these items was small. And because these extras are already available as separate accessories not locked down to one device, it was a non starter from the beginning. The hackability of these phones would have been interesting to say the least, had they come to the mainstream. It just seems the public want thin sleek aluminum phones that they treat more as a status symbol than anything else. Modular phones have to be more bulky to accommodate the power/data rails and magnets for the modules, so they’ll lose out in pocketability. Still, we hope the idea is revisited in the future and not left on the scrap-heap of obsolescence. Would you buy a modular smart phone? Even if it is bigger or more expensive? Is that really why they failed? This Saturday is a great day to change the world. It’s Earth Day. There’s a National March for Science where millions will demand evidence-based change. We’re doing our own thing. We’re leading a World Create Day, where hackers gather ’round the soldering iron and find solutions to problems we all face. 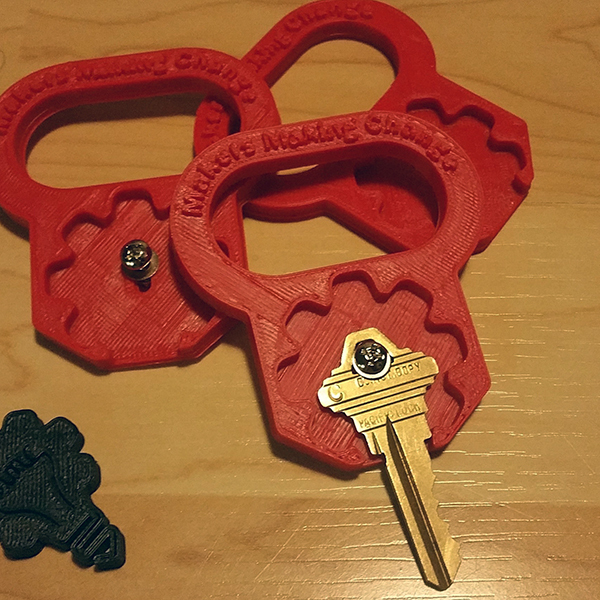 Over the last few weeks, we’ve been getting Hackaday readers to organize meetups in their hometowns, encouraging them to get a few people over, and sending them a bit of neat Hackaday swag. We couldn’t do this without the community leaders out there, and we’d just like to take a moment and recognize a few of the fablabs and hackerspaces that are making World Create Day possible. Up in Vancouver, the folks at the Spinal Cord Injury Forum will be spending their World Create Day building tools that make life easier for people with limited mobility. Already they’re doing some awesome work with 3D printing, and with a few more minds tackling these problems, they’re sure to come up with something good. This is a worldwide event, and we have hackerspaces from Cairo to Osaka taking part. Do you know where Tenerife is? There’s a World Create Day meetup there, too. To give you a little more encouragement to attend a World Create Day meetup near you, just remember we’re still at the start of the Hackaday Prize, a competition where we’re giving away a quarter million dollars to build hardware that will change the world. Even if there isn’t a World Create Day meetup near you, you can always start your own meetup for tomorrow, or just go solo. And don’t forget to show off what’s going on using the #WorldCreateDay hashtag. This isn’t an event to miss. When else will you be able to come up with creative solutions to problems with a worldwide audience? Find a meetup near you and do something constructive tomorrow.